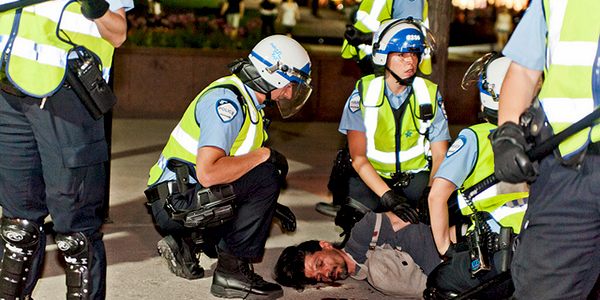 Why Do Protesters Against Egregious Environmental and Financial Misconduct Get Arrested, But Not Corporate Perpetrators? It’s sadly what we’ve come to expect: advocates for saving the planet — and present and future lives with it — and those who protest financial crimes and improprieties get arrested, charged, and often serve jail time, but those responsible among the corporate and financial elite go free. Thousands of litres of dangerous fluids are released from the company ’s pipelines and holding tanks into the environment each year. According to Enbridge’s own data, between 1999 and 2010 , across all of the company’s operations there were 804 spills that released 161,475 barrels of hydrocarbons into the environment. This amounts to approximately half of the oil that spilled from the oil tanker the Exxon Valdez after it struck a rock in Prince William Sound, Alaska in 1988. This entry was posted in Repression at Home, Toxification and tagged Enbridge, Industrial "accident", Pipelines, Tar sands, 11: Civilization is a culture of occupation on July 28, 2013 by Norris Thomlinson. In Dapu, a rain-drenched rural outpost in the heart of China’s grain basket, a farmer grows crops that she wouldn’t dare to eat. The experiences of these farmers in Dapu, in central China’s Hunan province, highlight an emerging and critical front in China’s intensifying battle with pollution. For years, public attention has focused on the choking air and contaminated water that plague China’s ever-expanding cities. But a series of recent cases have highlighted the spread of pollution outside of urban areas, now encompassing vast swaths of countryside, including the agricultural heartland. 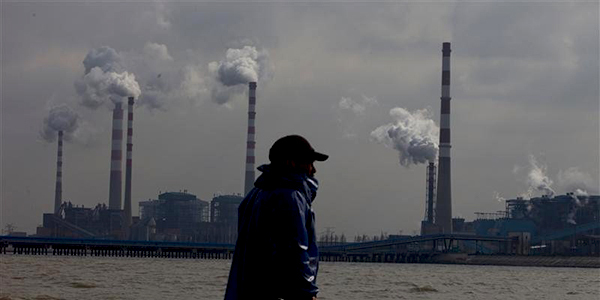 Estimates from state-affiliated researchers say that anywhere between 8% and 20% of China’s arable land, some 25 to 60 million acres, may now be contaminated with heavy metals. 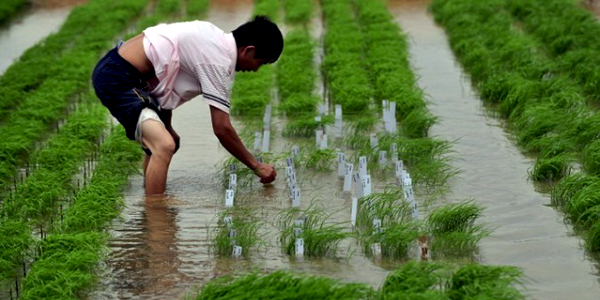 A loss of even 5% could be disastrous, taking China below the “red line” of 296 million acres of arable land that are currently needed, according to the government, to feed the country’s 1.35 billion people. Rural China’s toxic turn is largely a consequence of two trends, say environmental researchers: the expansion of polluting industries into remote areas a safe distance from population centers, and heavy use of chemical fertilizers to meet the country’s mounting food needs. Both changes have been driven by the rapid pace of urbanization in a country that in 2012, for the first time in its long history, had more people living in cities than outside of them. This entry was posted in Agriculture, Toxification and tagged China, Human health on July 28, 2013 by Norris Thomlinson. The concentration of rare earths in the ore is very low, so they must be separated and purified, using hydro-metallurgical techniques and acid baths. 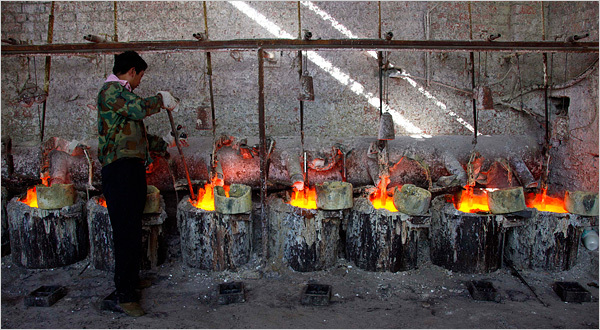 China accounts for 97% of global output of these precious substances, with two-thirds produced in Baotou. This entry was posted in Mining & Drilling, Toxification and tagged China, Food security, Greenwashing, Human health on July 22, 2013 by Norris Thomlinson. We write today as witnesses, witnesses to an ecological and social disaster which words can scarcely describe: we have just returned from Fort McMurray, Alberta, the nerve-centre of the tar sands. Welcomed by the local Indigenous community and accompanied by hundreds of citizens from across North America, we walked through the heart of the largest industrial project on the planet. Some of us also visited the Suncor Oil facilities at that company’s invitation. What we have seen and heard has left an indelible mark upon us. We return deeply saddened and angry. The extent of the devastation caused by this industry is obvious to anyone who sets eyes upon the place, and the numbers confirm this feeling. 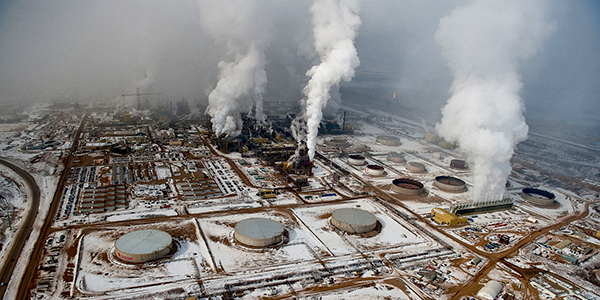 Each day, oil sands production releases 11 million litres of toxic water into our natural environment — 4 billion litres per year — and emits the equivalent, in greenhouse gas emissions, of 15 million cars. 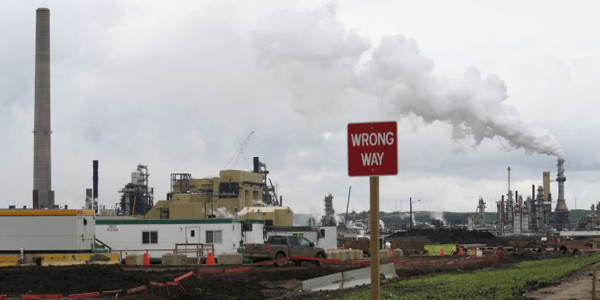 This entry was posted in Mining & Drilling, Toxification and tagged Alberta, Human health, Indigenous peoples, Pipelines, Tar sands on July 21, 2013 by Norris Thomlinson. Over two million deaths occur each year as a direct result of human-caused outdoor air pollution, a new study has found. In addition, while it has been suggested that a changing climate can exacerbate the effects of air pollution and increase death rates, the study shows that this has a minimal effect and only accounts for a small proportion of current deaths related to air pollution. The study, which has been published today, 12 July, in IOP Publishing’s journal Environmental Research Letters, estimates that around 470,000 people die each year because of human-caused increases in ozone. It also estimates that around 2.1 million deaths are caused each year by human-caused increases in fine particulate matter (PM2.5) – tiny particles suspended in the air that can penetrate deep into the lungs, causing cancer and other respiratory disease. According to the study, the number of these deaths that can be attributed to changes in the climate since the industrial era is, however, relatively small. It estimates that a changing climate results in 1500 deaths due to ozone and 2200 deaths related to PM2.5 each year. Climate change affects air pollution in many ways, possibly leading to local increases or decreases in air pollution. For instance, temperature and humidity can change the reaction rates which determine the formation or lifetime of a pollutant, and rainfall can determine the time that pollutants can accumulate. “Very few studies have attempted to estimate the effects of past climate change on air quality and health. We found that the effects of past climate change are likely to be a very small component of the overall effect of air pollution,” continued West. In their study, the researchers used an ensemble of climate models to simulate the concentrations of ozone and PM2.5 in the years 2000 and 1850. A total of 14 models simulated levels of ozone and six models simulated levels of PM2.5. The researchers’ results were comparable to previous studies that have analysed air pollution and mortality; however, there was some variation depending on which climate model was used. West added, “We have also found that there is significant uncertainty based on the spread among different atmospheric models. This would caution against using a single model in the future, as some studies have done”. From Friday 12 July, this paper can be downloaded from http://iopscience.iop.org/1748-9326/8/3/034005/article. Originally posted by Institute of Physics here. This entry was posted in Toxification and tagged Human health on July 14, 2013 by Norris Thomlinson.